Robertet, main sponsor of the exhibition Corpo. 35 at JOVOY in Paris, the results! Corpo. 35, in partnership with Robertet, finally ended on Thursday 14th of June at Jovoy in Paris. 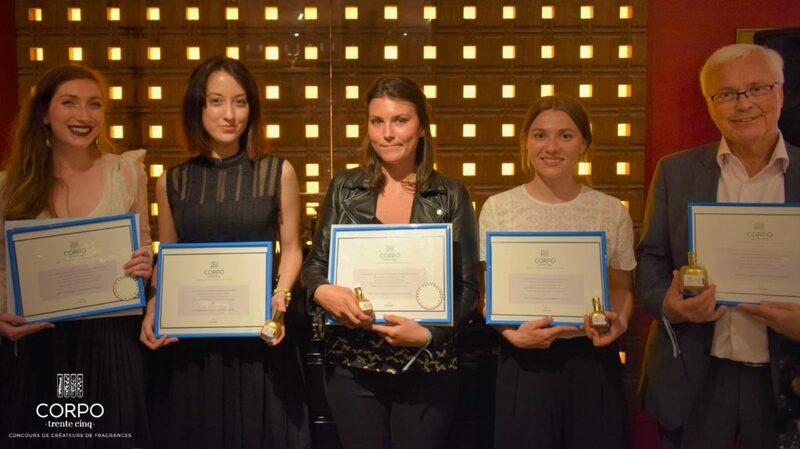 At the beginning of the competition, 35 talented “noses” competed to create the best fragrances with raw materials offered by the Robertet group. 5 projects were finally highlighted by a jury of professionals chaired by Serge De Oliveira, our perfumer.